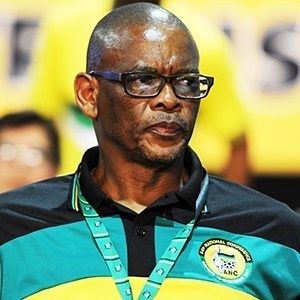 ANC secretary general Ace Magashule says he is not worried that the DA has approached the Electoral Commission of South Africa (IEC) over him giving food money to a Phillipi resident while on the campaign trail. The Democratic Alliance (DA) on Sunday labelled Magashule's act "tantamount to vote buying", and was in contravention of the Electoral Act. Magashule was seen gifting a woman R400 to buy food after looking into her "empty fridge" while conducting a door-to-door election campaign in the Western Cape township on Saturday, SABC reported. "It doesn't matter for me. When we do good, it's always good for us and South Africans. I am not worried about the DA and its politics," Magashule said on Sunday outside a local church in Khayelitsha. He was continuing with his campaign trail. Magashule said what he did to the family was the "the right thing to have done". He was at a resident's house campaigning when he had opened the woman's fridge and said to her, "There's no food in this house," to which the woman responded and said: "Things are bad here". He then gave the woman cash, who later expressed her gratitude while holding the two R200 notes. "When you find a family with no food inside the house, and you give them R400 and comrades contribute to hand them over R400. It's not buying votes, I can't buy votes of millions. It's not one person voting the ANC. What I did for that family is the right thing to have done," he said. According to the IEC's Code of Conduct offering any inducement or reward to a person to vote for a party is prohibited and if Magashule is found in breach of the code of conduct he could be fined up to R200 000 and the forfeiture of the party’s deposit.